Inspire decorating envy with a dazzling display from Blisslights. Like previous models, this easy-to-set-up Projector casts tens of thousands of points of light over a wide area--be it your home's exterior, trees, garden, or an interior room--instantly creating an enchanting atmosphere. But now, in one unit, you can enjoy both brilliant laser lights and a built-in LED accent light for a wider array of light combinations. 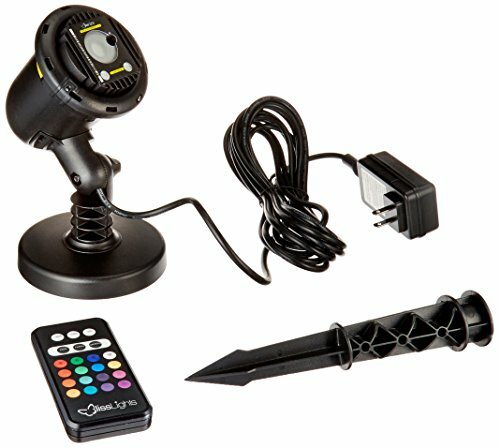 Choose between green, blue, red, or purple laser light and then customize your light show with 16 different LED accent light colors all from your remote. You'll amaze friends, family, and neighbors all year round--from Christmas to birthday parties, barbecues, and beyond. If you have any questions about this product by BlissLights, contact us by completing and submitting the form below. If you are looking for a specif part number, please include it with your message.